Seventeen New Zealand isolates of equine herpesvirus 5 (EHV-5) were compared to the Australian prototype strain. PCR primers were designed to amplify EHV-5 glycoprotein B (gB) gene, and Restriction Fragment Length Polymorphism (RFLP) was used to detect differences between cloned PCR products. EHV-5 isolates from different horses showed a high degree of heterogeneity. However, EHV-5 isolates from individual horses remained homogeneous when examined over a period of time or isolated from different sites. A single EHV-5 gB RFLP profile was detected in isolates from each individual horse but one. Two or possibly three different genotypes of EHV-5 were detected in cultures inoculated with a nasal swab of this horse. 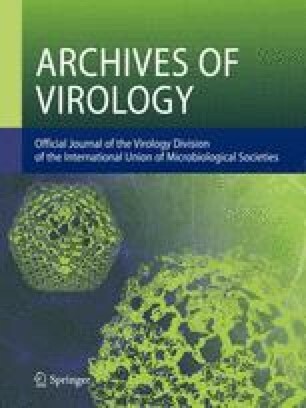 The heterogeneity observed between EHV-5 isolates from different horses suggests that the use of RFLP may provide a useful epidemiological approach to gain more knowledge about the biology of EHV-5.